This item is sold out. 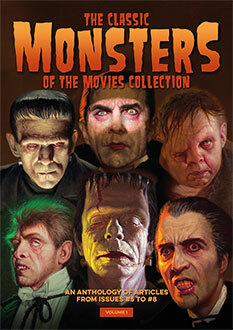 Scheduled for August 2019 publication and shipping. The Scream Sirens Signed Hardback is the collector’s edition of this guide, in a strictly limited edition hardcover format – only 30 in the world – and signed and numbered by the authors with a FREE exclusive Scream Sirens art print and postcard set! Illustrated throughout in full colour with stunningly reproduced, rare stills and lobby cards, and each actress profiled in turn, this is an absolute must for all fans of the classic horror movies of the silent era through the twenties, thirties and forties. A unique and handsome hardcover addition to the bookshelf of any self-respecting monster kid, Scream Sirens is unlike anything you’ve ever seen before. This beautiful piece of art is far more than a hardback book – exceptionally designed and produced and finished to the highest standard, it provides a fascinating and fully illustrated history of Hollywood’s scream queens, including their lives, loves and what made them tick. 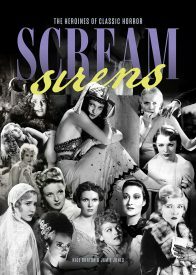 If you love your old school horror, you really won’t want to be without this superb addition to the ever-growing Classic Monsters library – Scream Sirens is a volume you will treasure for many a long year to come, with a FREE exclusive Scream Sirens art print and FREE set of postcards that cannot be obtained anywhere else.